I was going through some older photos of mine and came across this one I took in New Brighton a while back. This lady sells roosterkoek and vetkoek from a container near the Red Location Museum (which is currently still closed) and when I worked for Nelson Mandela Bay Tourism and got to go to the museum often I always stopped here from either. 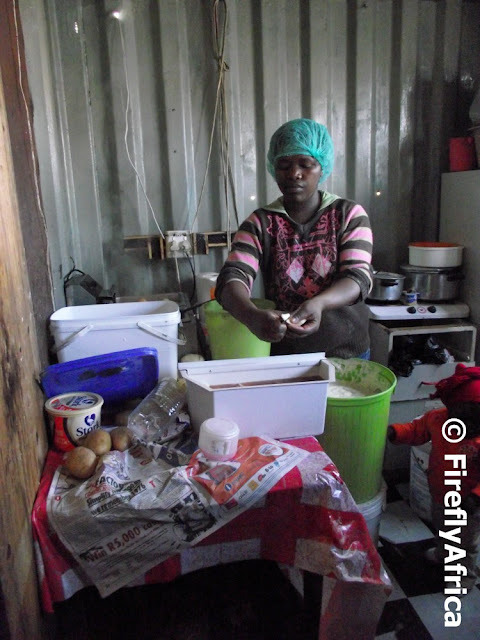 About 5 years back she used to sell the roosterkoek for R1.50 plain and R1.80 buttered. The mini verkoek was only 20c each and the local kids would come with R1 or R2 and walk away with a hand full. Writing this my mouth is actually watering and I'm wondering if she's still there.